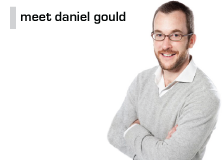 Stay tuned in the next few weeks for a series of posts from Daniel Gould on Eurovision betting ahead of the 2010 finals in Oslo from 25-29th May. He will share ten things to do and not to do based on his experiences of betting on Eurovision, as well as write a betting blog about his latest gambles. The next big betting event in Sofabet’s calendar will be X Factor 2010. Over the summer we’ll have a series of posts analysing X Factor as a betting event, and when the show kicks off we’ll be doing our best to identify the likely winners. We’ll cover the betting on Strictly Come Dancing in the autumn, too. And in the meantime we might just have something to say about Britain’s Got Talent.